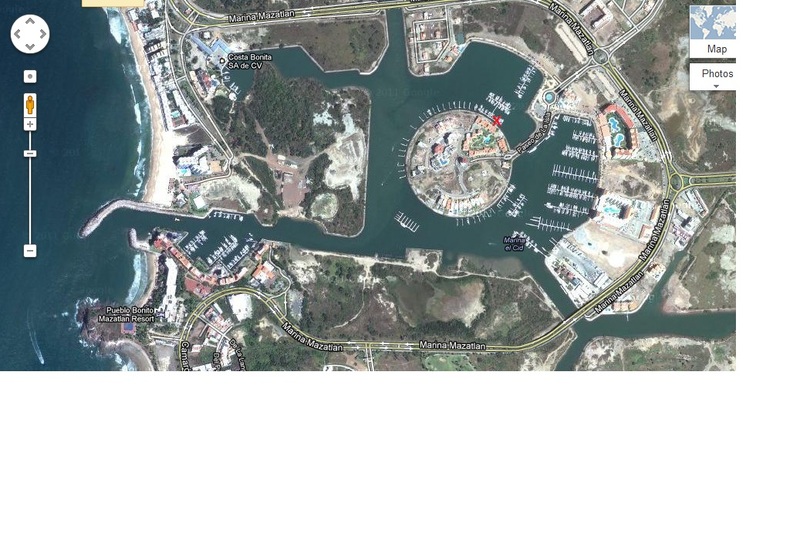 Our current location - North of downtown Mazatlan. Since I keep forgetting to buy new batteries for our Spot tracker so I can at least turn it on and ping our current location, I thought I would upload a map of where we are. Look close for the red X, and you can see where we are. While this marina is a bit out of the way, it is small enough with a lot of long term residents that most people know each other and it feels very secure. We’ve been staying in this area, although we did bus to one of the mega grocery stores a couple days ago, and downtown yesterday. We discovered that the big grocery store was actually more expensive than the little one by our marina. Granted they had a bit more selection, but factoring in the bus ride required to get to Soriana or Mega (a few blocks apart) I’m not sure it is worth heading off to them when we are finding what we need much closer and for less Pesos. So far our most entertaining time in Mazatlan was an impromptu potluck a couple nights ago. We went over to Endorphin with Rob from Wings of the Dawn, and visited the kitty they have up for adoption. Very cute, but long haired which doesn’t seem like a great fit on a boat in tropical climates. We then headed over to one of two Force 50s moored next to each other, both owned by French couples. We spent the next few yours with three languages flying around, speaking whatever words we knew in the another language to communicate. Pascal, one of the husbands on the French boats spoke very good English, which helped quite a bit, and his wife is doing well with her Spanish. We laughed, ate, and for some reason the other French gentleman kept opening bottles of wine. All in all, a wonderfully fun and entertaining evening. We even had a Spanish family they had met drop by for a chat, the parents and two impeccably behaved and precious daughters. Being a Saturday, I think we are going to relax a bit today, Jenn wants to hit the beach so we’ll take a bus to one of the beaches and hang out for a bit and relax, before we start some more boat projects the next couple days in preparation for a sail down towards Puerto Vallarta. Overall we are kind of short changing our visit to Mazatlan and all there is to see and do here, but since we plan to be back for Carnival we’ll catch up the sights then.